Mr. Brett Godwin is the Chief Operating Officer for Sterling Seacrest Partners. His primary focus is providing leadership and strategic vision to a dynamically growing organization. He works to ensure Sterling Seacrest Partners has the optimal operating model, administrative procedures and people in place to achieve their goals. In addition, he partners with the executive team to pursue growth through acquisition, hiring new producer talent and organic growth. Brett brings more than 25 years’ experience in the insurance industry to the table. He has worked in a variety of different leadership roles on the carrier side, starting his career in underwriting and then branching out into other areas including data analytics, project management, consulting and M&A work. 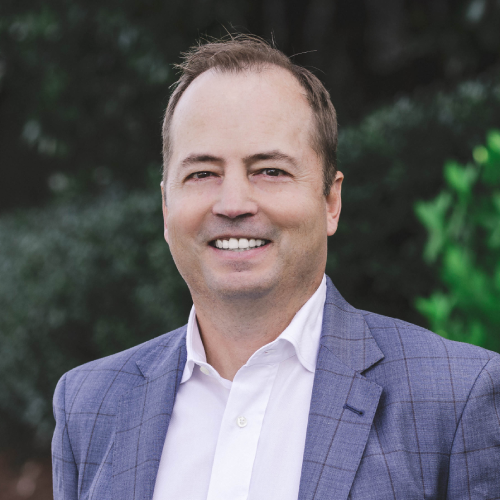 Prior to joining Sterling Seacrest in 2017, Brett was Vice President of Strategic Operations for the Hanover Insurance Group, focused on consulting with the independent agency community and improving their economics. His team created data analytics from these engagements while identifying blocks of business for consolidation. He started his career in underwriting with Aetna Life & Casualty in 1991 before moving to The Hartford in 1995 and then Hanover in 1999 as the Underwriting Manager for the Atlanta branch office. He received a Bachelor of Arts degree in Economics from Wake Forest University in 1990 and has his CPCU designation. Brett moved to the Atlanta area in 1996 shortly after the Olympics and resides in Morningside with his wife and two children. He has a strong desire to give back to local community and has, for many years, volunteered at Morningside Presbyterian Preschool, Morningside Elementary and coached youth soccer.